Readers of BeautySwot know that I am a lover of all things rose. I know a lot of people say 'oh I don't like rose' but I think that could be because they just imagine those horrid rose scents of cheap soaps that don't really resemble a true rose.. I call them old lady rose..and I agree it is horrid. 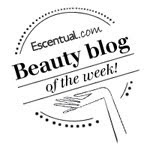 So when I find a fabulous rose scented product, I have to shout about it. 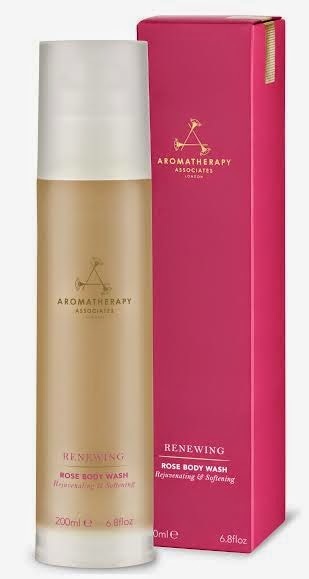 I have been using the Aromatherapy Associates Renewing Rose Body Wash for a while now, I wanted to take a picture and write the review earlier but I noticed that the packaging has changed, it looks even more luxurious now so I have included a stock photo so you know what you will get. Experience the hydrating and uplifting powers of rose, geranium and camomile to leave your skin gently cleansed and beautifully fragranced. The Renewing Rose Body Wash is simply exquisite, bath times are more indulgent and luxurious with this beautiful and delicate scent of rose that has been blended with Sandalwood and Camomile. I was a little worried about using essential oils and suffering irritation but this body wash is gentle and leaves skin wonderfully soft and hydrated and the bathroom smelling gorgeous. With no SLS or parabens this is a real bathtime gem.